As graduation approaches, I – along with my fellow unlucky peers who have yet to secure post-graduation employment – are, among other things, frantically submitting job applications, negotiating sublets and drowning our sorrows in boxes of Girl Scout Cookies. But there’s one resource I wish I had taken the time to make more robust over the past four years: my network of connections. GW constantly encourages us to network with folks in our prospective career fields and form relationships with professors established in them. But lately, I’ve wished that I had connections with another, less-talked-about group: graduate students. Graduate students can offer both graduating seniors and underclassmen valuable career insights, connections and resources, and it’s time we start putting real effort into our relationships with our slightly senior counterparts. We think the central parties in academic relationships on campus are undergraduates and professors – and that leaves graduate students in an odd spot. While they may be years away from a Ph.D., they’re also somewhat removed from undergraduate status, so it can be hard to know how to interact with them. Undergraduates often forget about this sect of the student body – which, at about 14,000, actually dwarfs our population of just 10,000 students. It’s easy to understand why: With lifestyles that vary widely from our own, graduate students can seem like an entirely different breed. For starters, many live off campus, often with spouses or even children, and many take classes at night to accommodate full- or part-time jobs. Their relationship to GW also differs from ours. Whereas many undergrads come here largely because we think college is the obvious next step in life after high school, graduate students have other goals in mind: Mainly, to come out on the other side with a degree that will get them a job or a better position in their current field. Undergraduate and graduate students will never have a shared GW experience. We vary too widely in demographics. But that doesn’t mean we shouldn’t look to graduate students for support. Graduate students are poised to start making more of an impression on campus in the coming years, particularly given this month’s passage of a Student Association bill to open more funding to graduate student organization umbrella groups. They’ll be able to start doing more programming, including some aimed at us undergraduates. As graduate students put on more events – including panels, dinners, fairs and networking opportunities – undergraduate students should attend and attempt to connect with graduate students, particularly those in their chosen career field. For networking-phobic folks like myself, making a connection can be as simple as reaching out to a teaching assistant for help in a class. That can turn into occasional coffee dates, and you could wind up with a connection that has long-term benefits. A casual chat with a fellow GW student – albeit an older one – in a TA office or after class will be far less intimidating than making small talk at cocktail hour. In fact, reaching out to a graduate student may have an even better payoff than talking to a professor. Whereas many faculty have been out of their professional fields for some time, graduate students are often active in their careers and simply seeking a deeper level of specialization. And for those undergraduates looking to go to graduate school, who better to talk to than these current grad students? They’ve just completed an elaborate college search much like the one high school seniors and their families conduct, and could be able to offer important insights about which campuses have the best programs in certain fields. Sure, professors attended graduate school themselves, but they may be out of touch with the current application processes or the specializations of particular schools. Of course, not all graduate students will have the time, energy or even the desire to mentor an undergraduate. We shouldn’t expect every graduate student we approach to be willing and able to help, and not all of them will even be the best resource – they could be too far removed from academia or your particular career interest to be of real help. But some graduate students will be a great resource, particularly those who are involved in programming aimed at the entire student body. It will require some altruism on the part of graduate students to take the time to help us, but they can reap their own benefits, too. For those who want to go into academia themselves, staying in touch with the undergraduate perspective will be important as they work toward a terminal degree. However much we may want it to be true, graduate and undergraduate students will never form a cohesive student body – we’re simply too different. But graduate students can still offer us undergraduates valuable connections during school and beyond. I certainly wish I could be exploiting those connections now, in the weeks leading up to Commencement. 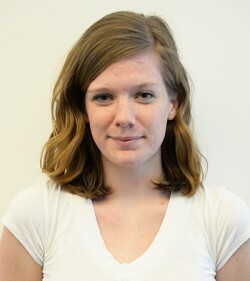 Robin Jones Kerr, a senior majoring in journalism, is The Hatchet’s opinions editor. Want to respond to this piece? Submit a letter to the editor.